Summer is here, everyone was in Santa Cruz last weekend. 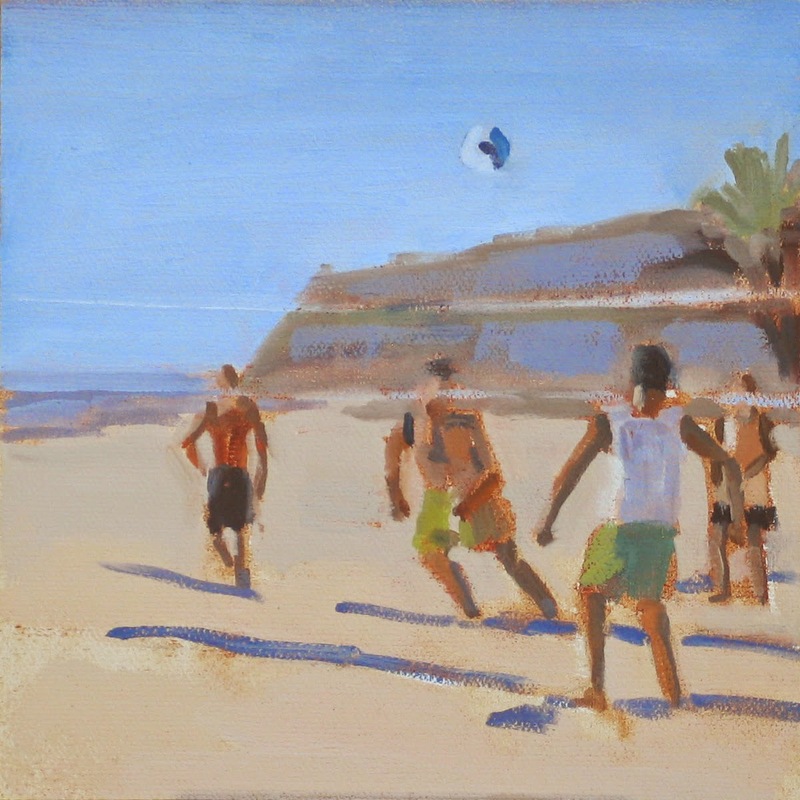 Beach Volleyball 4 is part of the Hello Summer show at Viewpoints Gallery in Los Altos. I started this painting about a year ago for a show in San Francisco. I was intimidated by the complex composition, so I set it aside. I picked it up again a couple of weeks ago. 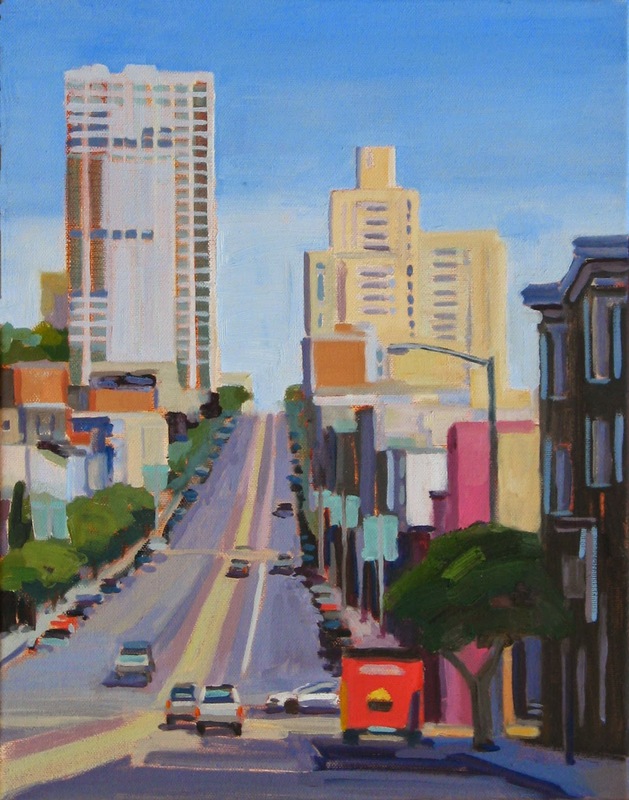 The wide asphalt street, the grooves for the cable cars and magenta building on the right were challenges . . . but I finished and I really like the painting. 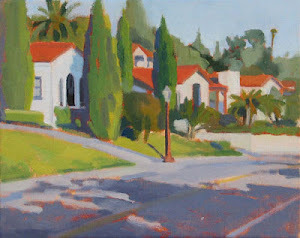 It's on display at Viewpoints Gallery in Los Altos. I was walking along West Cliff Drive in Santa Cruz and noticed this little beach cottage with surfboards for sale in front of the house. 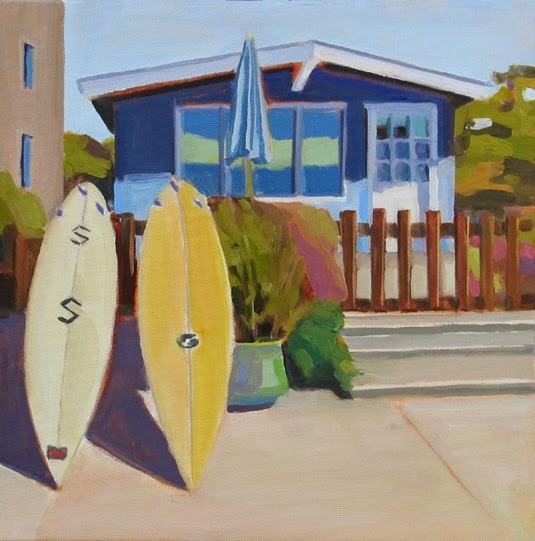 I liked the color and composition of the surfboards in contrast with the small house.